Dr. Naomi Grunhaus is Associate Professor in the Rebecca Ivry Department of Jewish Studies at Stern College, where she has been teaching Tanach and methodology of biblical interpretation for twenty years. 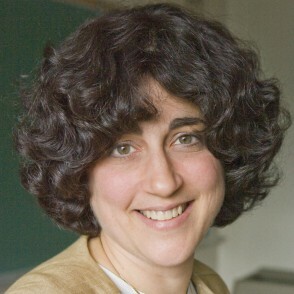 Her book on the interplay between peshat and derash in Rabbi David Kimhi’s biblical commentaries was published in 2012 by Oxford University Press. Dr. Grunhaus’ current research focuses on developments in Radak’s thinking between the writing of his linguistic works and the writing of his commentaries. She is a frequent presenter at academic conferences, who has also authored scholarly articles, book reviews, and encyclopedia entries. Dr. Grunhaus received her PhD in Jewish Studies from New York University, MA and MS degrees from New York University, and a BS from Brooklyn College. To include students in her research, she has three times mentored students who were awarded Yeshiva University’s Summer Research Grants. She has twice received a Ms. E. Billi Ivry Faculty Research Incentive Award and was also the recipient of the Murray and Madeleine Baumel Faculty Incentive Award. Radak’s Shorashim and his Biblical Commentaries: A Comparison of his Biblical Interpretations between the Two Works. Keri U’Ketiv: Indigenous and Purposeful or Indicative of a Disputed Text?